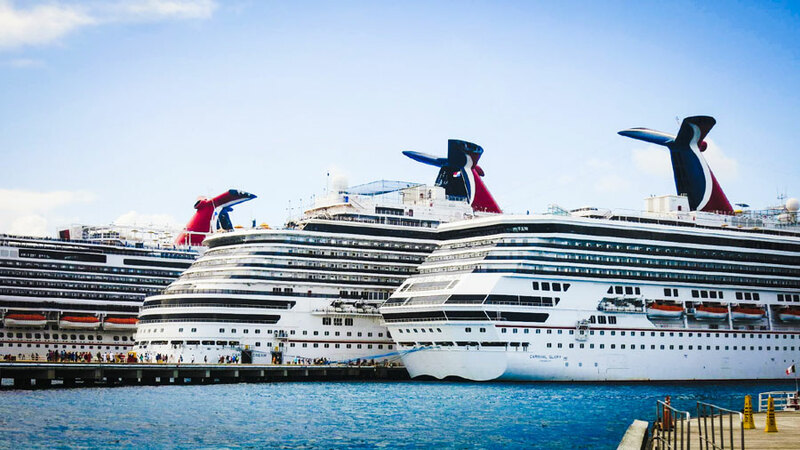 As we head into a new month, four Carnival cruise ships have completed relocating to their new homeports across the U.S. southeast. The relocating includes the largest ships in the fleet offering new choices for cruisers. September 2018 was a huge month for Carnival which the repositioning of four major ships. Carnival Horizon which is the newest ship in the fleet moved to Miami, Carnival Vista moved to Galveston, Carnival Breeze moved to Port Canaveral and Carnival Magic also moved to Miami. These ships are the top four largest and newest so the cruise line has been making a huge deal over the repositioning. The Miami-based cruise line has been running its #ChooseFun campaign using the all-new Carnival Airship! The Blimp has bee doing the rounds in the southeast by visiting all the major Carnival homeports including Port of Galveston, Port of New Orleans, Port of Mobile, Port of Tampa, MiamiPort, Port Canaveral and then finishing in Atlanta. For the promotion, anyone catching a photo of the Blimp could post on social media using the special hashtag with a chance for prizes and a free cruise. It’s been a great way to showcase the options and itineraries that ships in the region have on offer. The newest Carnival cruise ship was the first out of the four to reposition to her new homeport in Miami, Florida. As the new fleet flagship, there was much attention including a homecoming event, read all about it here. After completing a series of cruises out of New York City the ship started with a special 2-night voyage from PortMiami on September 20. Carnival Horizon started her new year-round 6-day and 8-day itineraries to the Caribbean. Carnival Vista which is the first in her class and identical to sister ship Carnival Horizon also started cruising from a new homeport. The ship arrived at Port of Galveston on September 23 and is the largest ever Carnival ship to sail from the port. Another homecoming event was held for the ship to kick off the new service. You can read all about it here. Carnival Vista is now sailing week-long Caribbean cruises all year round. The ship will increase capacity from Galveston and is a great choice for cruisers to experience one of the newest ships in the fleet. Another large Carnival ship and the third on the Dream class is Carnival Breeze which repositioned to Port Canaveral, Florida. In fact, the ship moved from Galveston to make way for Carnival Vista. Carnival Breeze is now sailing offering 7-day and longer 14-day Caribbean itineraries. The ship will sail the Eastern, Western, and Southern Caribbean and might be a good choice for those cruisers looking for something a bit different than usual. We finish off with Carnival Magic which is identical to Carnival Breeze and is also among the largest in the fleet. The ship just a short repositioning cruise from Port Canaveral down to Miami to begin a new season from the cruise capital of the world. On September 30, 2018 the ship started sailing a new scheduled of week-long Caribbean cruises. itineraries will alternate between the Eastern and Western Caribbean from PortMiami, Florida. Now that Carnival’s four newest and most advanced cruise ships have repositioned cruisers have a better choice than ever before to the Caribbean from major cruise ports in the southeast. As we head into the festive season that experience will be enhanced further with Halloween, Christmas and New Year cruises. Keep an eye on Cruise Hive for all the latest on Carnival Cruise Line, the world’s largest cruise line. We've got a sneak peek of some of the areas from inside the Carnival Sunrise as the ship nears completing of a major transformation. Carnival Cruise Line has issued an apology after leaving thousands of passengers outside in the heat due to delayed embarkation at PortMiami for the Carnival Magic. A Carnival cruise ship has rescued 23 people from a disabled boat just off the Yucatan Peninsula after being adrift at sea.